IQ meters spike up to dangerously high levels this week, as Jesse is joined by Richard “Rick” Rosner – who ranks second in The World Genius Directory. They discuss intelligence testing parameters and efficacy while making detours to futurism, human longevity and time travel. In addition to being an intellectual savant, Rosner also boasts past credentials as a comedy television writer, a bouncer and a male stripper, making him a truly eccentric genius. For Halloween, we give a hat-tip to the Spooky Little Evil Kids of so many horror movies, by looking at a recent study into the gastrointestinal physiology of the “terrible two’s.” Stay tuned till the end for the Ruthless Listener Retention Gimmick: Horror Edition. Click here to see the full list of supplements Rosner takes. PS: Book your weekly delivery of Grade A neuroscience tricks and treats by signing up for our newsletter below. Welcome to the 100th episode. This Week In Neuroscience: Brain mapping. 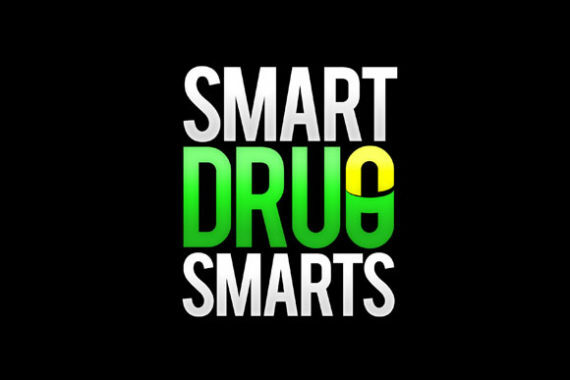 Behind-the-scenes at Smart Drug Smarts. Growing up as a genius. What if everyone was 30% smarter? 70 pills a day! Full list of supplements here. Depth vs breath of knowledge - writing comedy. Rick Rosner's theory of the universe. Time travel and science fiction. Ruthless Listener Retention Gimmick: Horror edition. #043: Is Cognitive Enhancement Ethical? Great episode! I also would love to know what other supplements are on Rick’s list. I am definitely keen to listen to the extended overdose edition of this interview Jesse!!! Very nice work…how about that promised list of 70 supplements! Did you ever get the list of supplements? Would love to hear an episode devoted to Metformin!! Errol Morris has a good documentary with lots of good Rick stories! Christopher Michael Langan is also an interesting genius, with plenty of ideas about space/time-travel. Regarding IQ tests, Sam Harris recently had Charles Murray on his podcast as well as Siddhartha Mukherjee (‘Emperor of All Maladies’ fame). They talk about the Flynn Effect and all things IQ, and genetics.